Cirrus Identity services integrate readily with many other enterprise solutions. We partner with other service providers to set up integration “cookbooks” so that our customers can rollout out services faster and at less expense. One of the biggest hurdles for many product integrations is plugging a vendor solution into the existing enterprise identity management system. Cirrus Identity’s solutions can streamline many of these integrations so that implementations take less time, require less custom code, and conform to identity standards. Best of all, Cirrus Identity’s solutions make it very easy for end users to securely access the new services. Cirrus Identity’s solutions are designed to interoperate with other vendor products that suppor industry standards for access control. We have formal partnerships with a wide range of organizations and service providers. Cirrus Identity is a certified Canvas partner. The Cirrus Gateway makes it easy to enable access for continuing education students, auditors, and guest faculty. Cirrus Identity facilitates social identity integration with your Canvas implementation, as well as other campus services. Microsoft and Cirrus Identity partnered in 2017 to stand up a Proof-of-Concept integration leveraging the Cirrus Identity Bridge to integrate Azure AD identities into InCommon metadata. 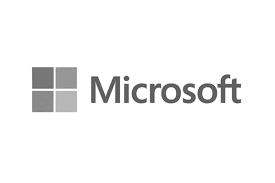 Microsoft then sponsored trial implementations at the NIH and Gonzaga University, and the Bridge service is now part of our standard portfolio. Cirrus Identity was accepted into the AWS EdStart program in August 2017 and has participated in the EdStart sponsored StartUp Alley at EDUCAUSE and EdStart Pitch Events. 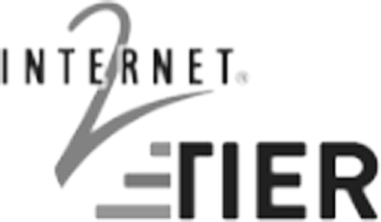 Cirrus Identity joined Internet2 as an Industry Partner in 2015 Our services facilitate the adoption and expanded reach of Net + services on your campus, and our modules interoperate with the TIER suite. Cirrus Identity has been a member of InCommon since our first product launch in 2014. Cirrus Identity powers the InCommon Google Gateway and collaborates regularly with InCommon Operations on other identity projects. Cirrus Identity joined the Apereo network the summer of 2015. Supporting integrations with the Sakai learning management system and the CAS single sign-on system. Interested in a partnership? Complete the simple form below and we’ll contact you to discuss details.